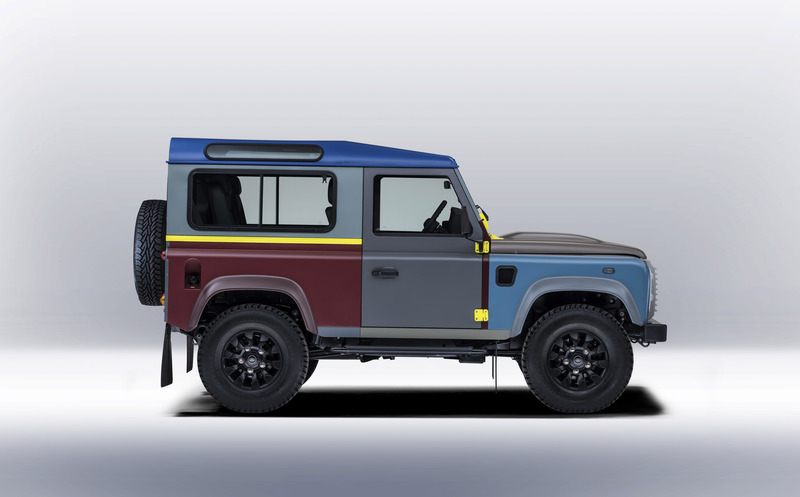 British designer, Sir Paul Smith has collaborated with Land Rover to create a bespoke Defender, which was revealed today at the designer's shop at No. 9 Albemarle Street in Mayfair. 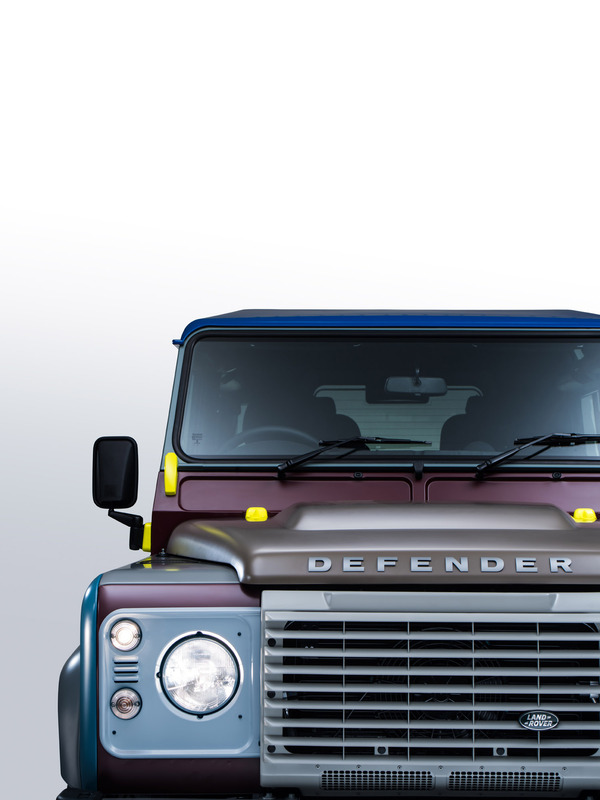 A longstanding fan of the Land Rover Defender, Sir Paul Smith has owned several of the vehicles over the years. 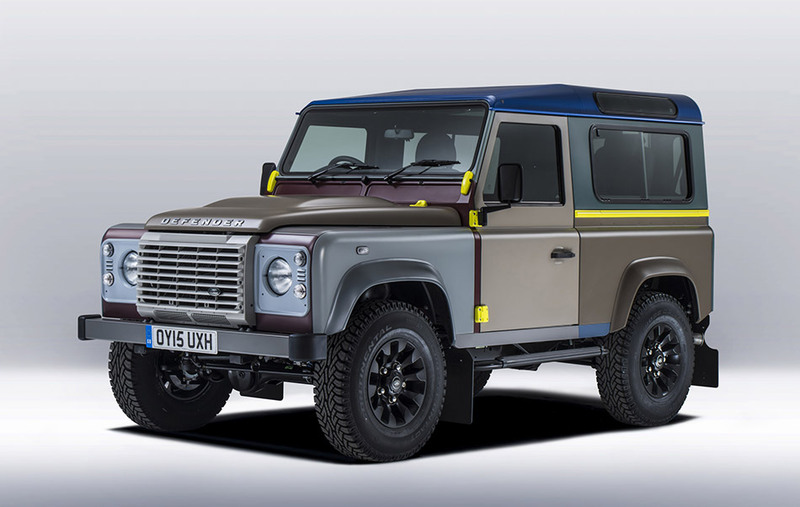 "The Defender is a British icon, which is something I'm exceptionally proud of," says Paul. 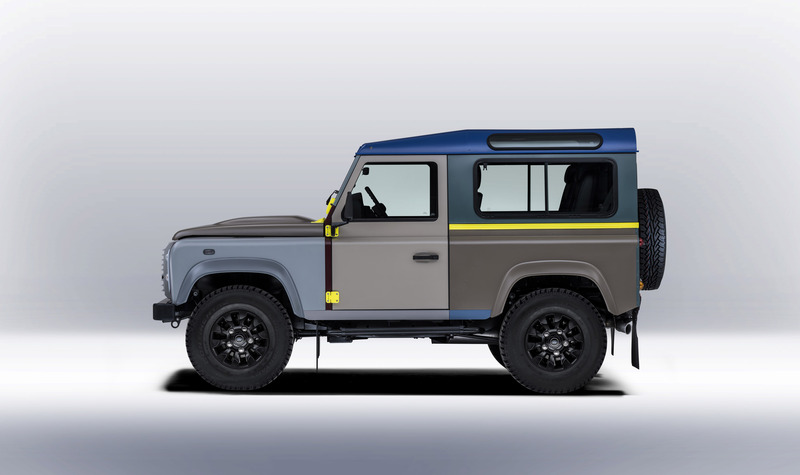 "I keep a Defender at my home in Italy which is in the middle of the countryside, so it's the perfect vehicle to cope with the rugged terrain." 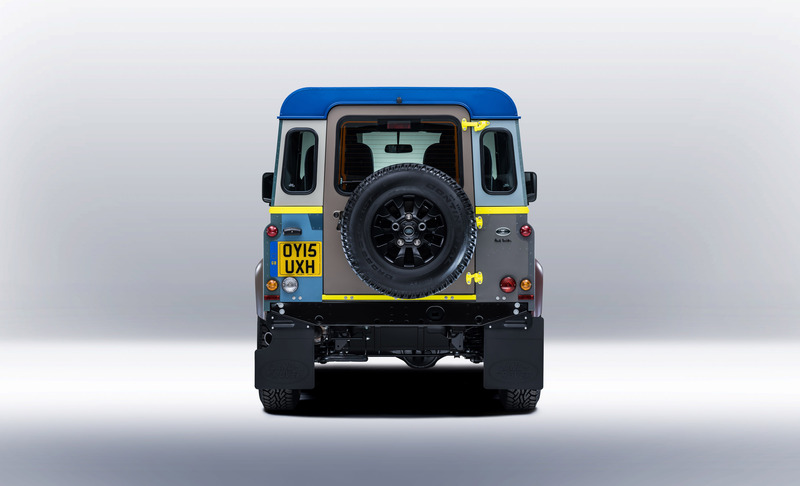 Paul Smith worked closely with Land Rover's Special Vehicle Operations (SVO) design team – which is able to fulfil individual customer commissions and personalisation. 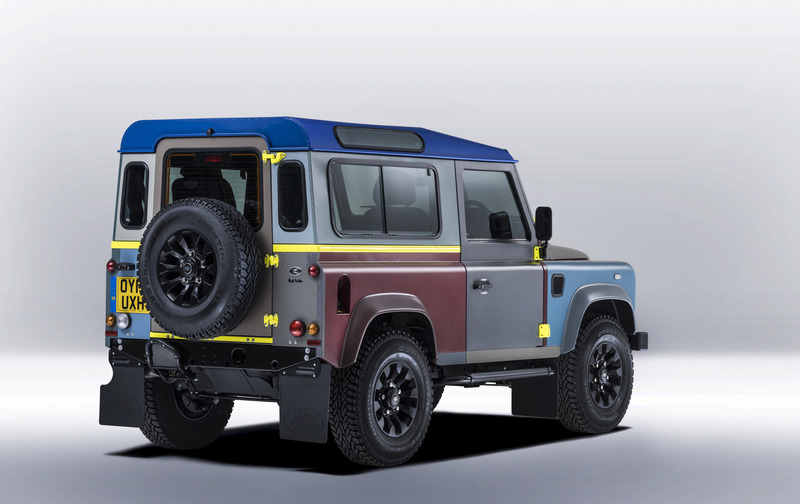 Together they created a unique vehicle, built entirely to Paul Smith's own specification. 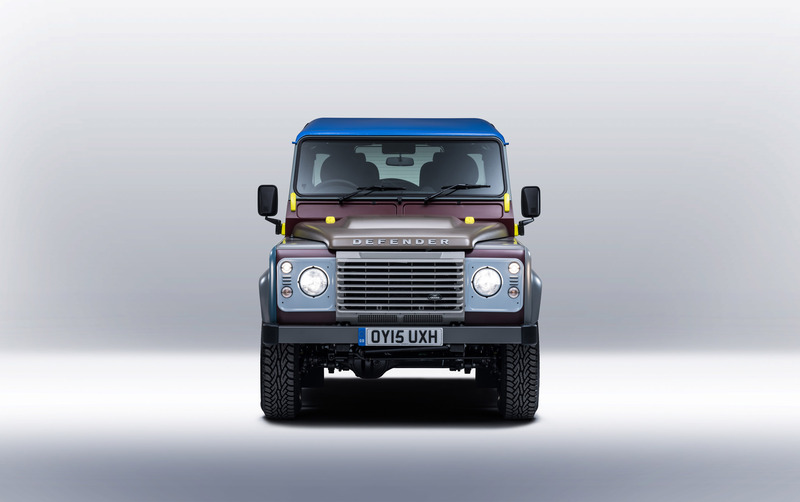 With guidance from Land Rover's Design Director and Chief Creative Officer, Gerry McGovern, he was able to realise his uniquely personal version of a global automotive icon. 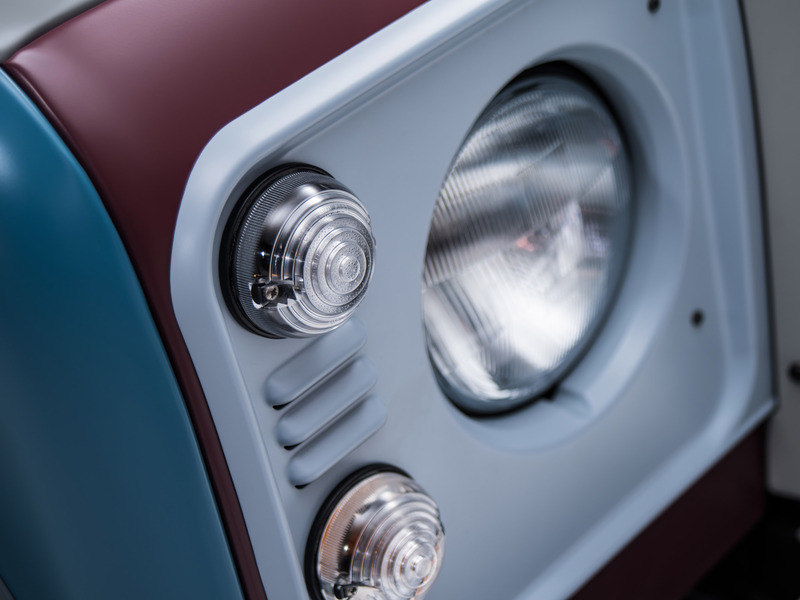 Further adding to the vehicle's bespoke design, Paul worked with Land Rover to ensure that the interior stayed true to his vision. 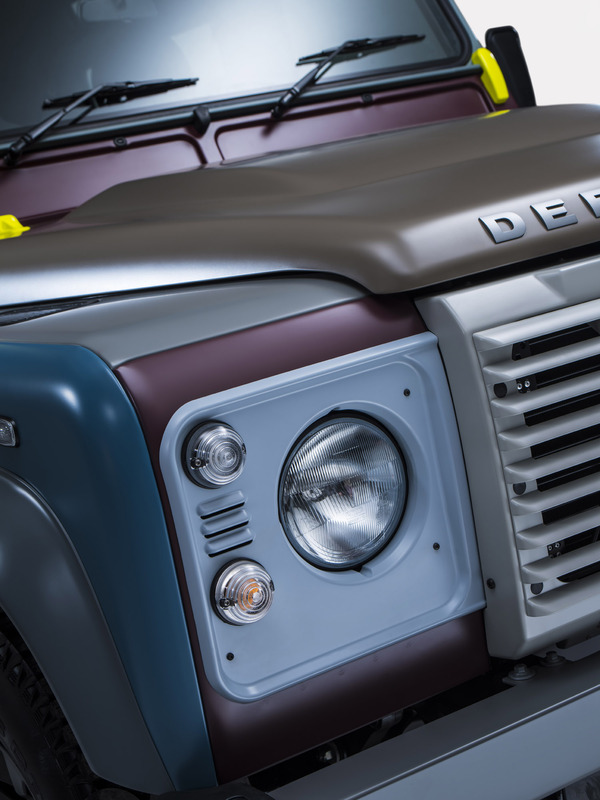 "This is a complete one-off; I wanted to give this Defender a feeling of luxury, so I used a mix of leather and fabric for the seats. I actually used the fabric that I design for Maharam, the American upholstery company. 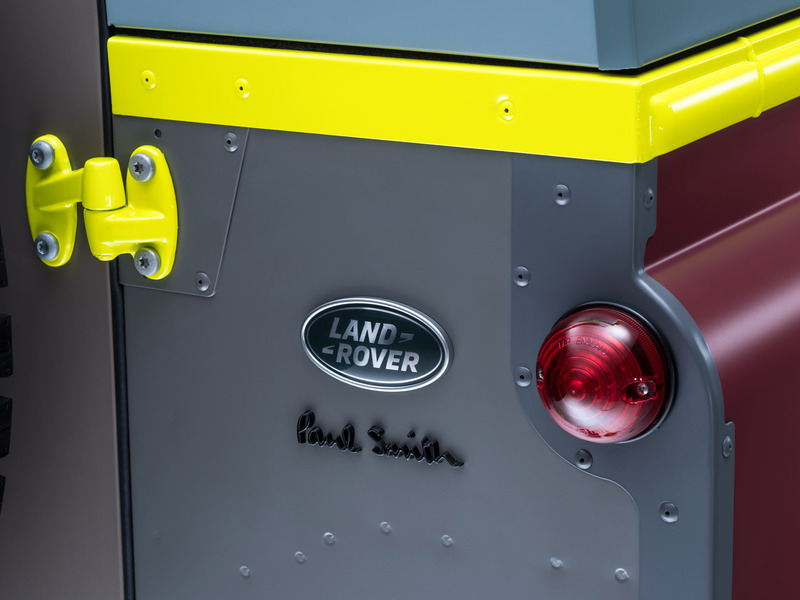 The vehicle features lots of special Paul Smith touches. "Inside, black leather contrasts against blue stitching and there are lots of little hidden details throughout. For example, there is an image of a set of keys printed inside the glove compartment. Then there is a hand-painted bee on the roof, which is another little tongue-in-cheek reference to the countryside and the heritage of the car. 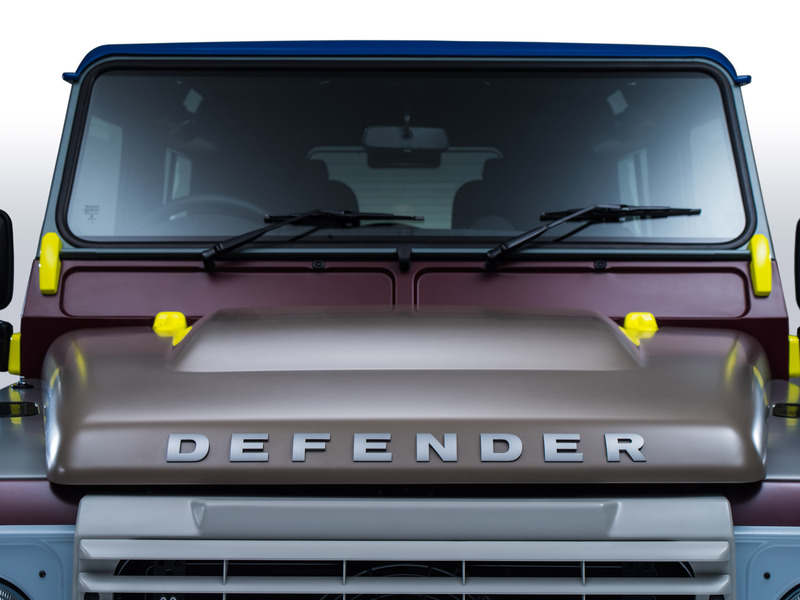 Also, the traditional Defender clock has been replaced with a Paul Smith fascia. 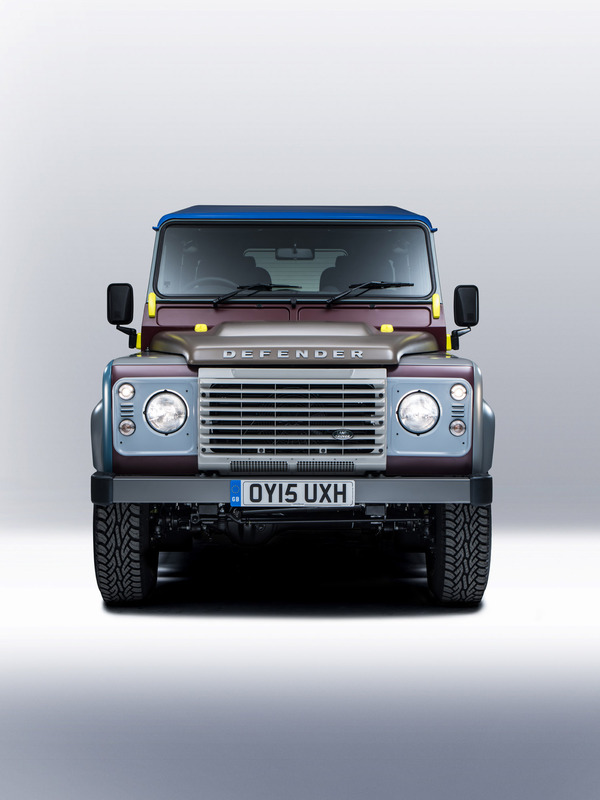 My designs are known for their attention to detail, so I didn't want this Defender to be any different." 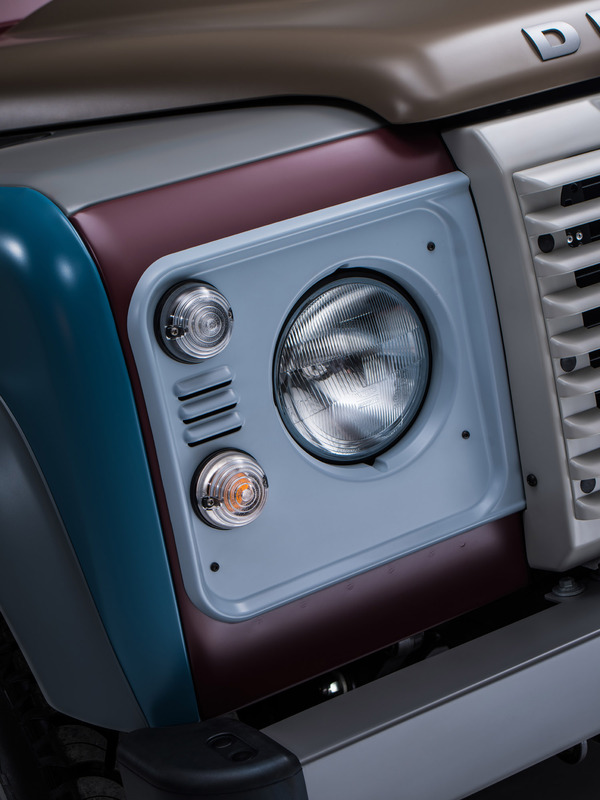 While Paul has added many playful and personal touches, the Defender retains traditional elements, such as the wing mirrors, door handles and wheels - something that was of paramount importance to the designer. These were then given a satin finish, to create a contemporary feel. 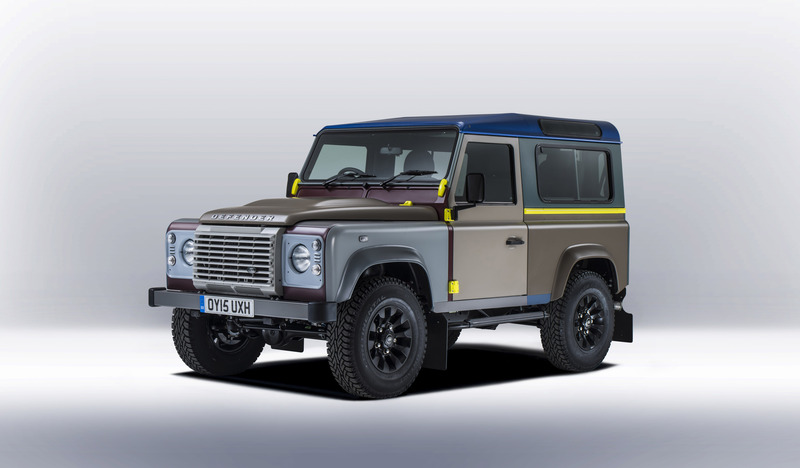 Gerry McGovern, Design Director and Chief Creative Officer of Land Rover, adds: "I felt it would be a fitting tribute to the iconic Defender, that one of Britain's most distinguished designers worked with the Land Rover team to recognise his creative vision." 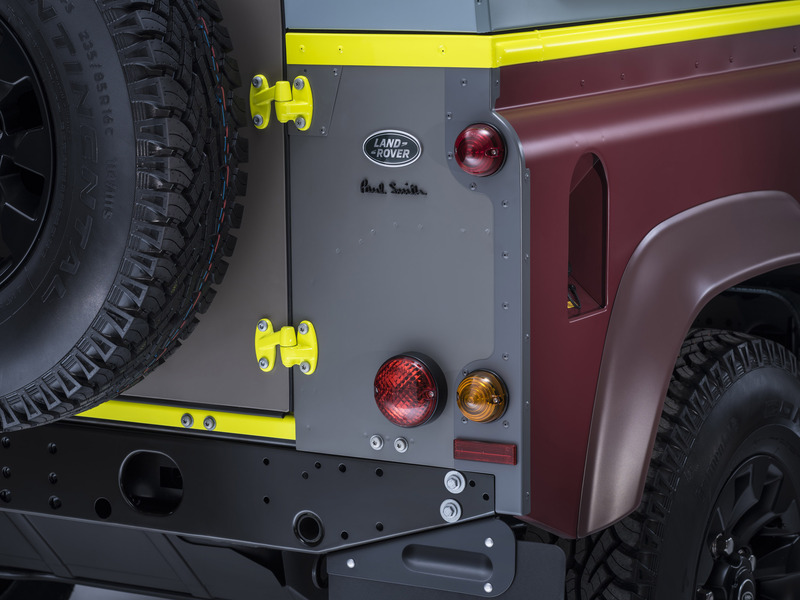 This exclusive Defender joins together two icons from the British automotive and design industries and forms part of a year-long celebration of the famous Defender as it enters its final phase of production at the Solihull manufacturing plant.